This week and next week are dedicated to two of my favorite slasher films, Halloween and A Nightmare on Elm Street. I originally planned to tie in Halloween with the holiday week, but I feel that one can’t fully analyze A Nightmare on Elm Street without comparing it to John Carpenter’s film. While not generally revered by critics, the Slasher Film is a very popular subgenre of horror. The eighties in particular were ruled by slashers and their sequels, and killers like Freddy Krueger, Leatherface and Jason are household names to my generation. 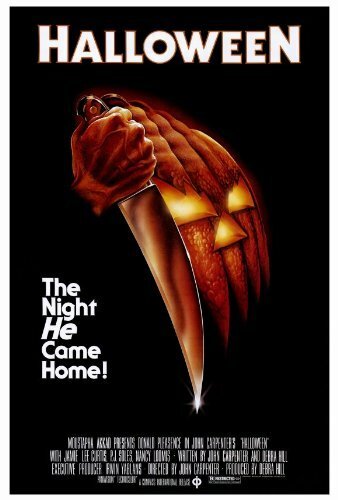 While not the first film about a serial killer, the slasher craze properly began with Halloween in 1978. And I will argue that nobody has managed to outdo the film since. Director, composer and co-producer John Carpenter a fascinating and perhaps underrated director with a wide variety of films to his credit: The Thing, Escape from New York, Big Trouble in Little China and They Live, just to name a few. But he is probably still best remembered for this film. Pop culture has absorbed his killer, his final girl and even his score into the collective conscience, and it deserves the acclaim. Let’s take a look at Halloween. In case you need a refresher: Halloween opens with an extended point of view shot as a young Michael Myers murders his sister. Years later he escapes from a mental institution, and while Dr. Sam Loomis tracks him down, Myers has a hunt of his own. For Laurie Strode, her son and her friends, October 31st is going to be a very bloody night. Especially since Michael seems to get up from mortal injuries unscathed. Carpenter astutely uses the opening shot to get us in the mind of Michael, and while he doesn’t use the trick again, he does one thing consistently; we are always aware of Michael Myers and the threat he poses. There are no false scares; anytime Jamie Lee Curtis sees something that frightens her, it is Myers. We know he’s watching her before she notices him. We know what he’ll do. And we are helpless; we can’t warn her or save her. It’s an incredibly effective decision that makes the film very tense without using cheap tricks. 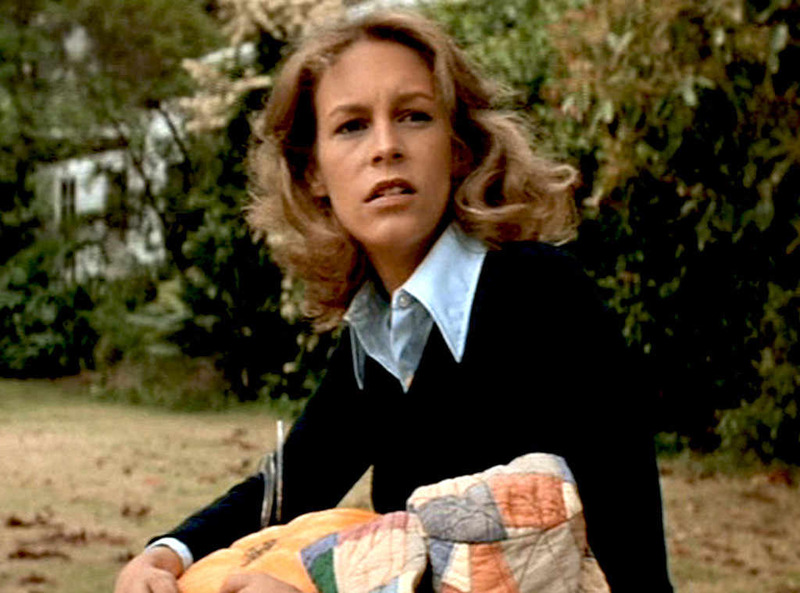 Jamie Lee Curtis is also a highlight; Laurie Strode is sympathetic, likeable, selfless and resourceful. While manner slasher flicks will focus on the killer to the point of making us cheer for them to murder their victims, this film wills us to rally for Laurie. After a long build up and brutal murders, the film climaxes in a nail-biting confrontation in Laurie’s home. The scene in which Myers attempts to get to Laurie in her closet is one of the best horror scenes ever filmed. Carpenter also makes contributions to the script, which has dialogue that feels natural and engaging without ever taking away from the scares. It’s not Hitchcock’s Psycho, but it’s much better than the campy screenplays of Friday the 13th. Carpenter’s score also conveys a sense of inevitably that is threatening and unnerving, adding much to the film’s presentation. For my money, nothing goes wrong in Halloween. It’s the best version of what it wants to be, and avoids the pitfalls of imitators. It isn’t held down by awful acting or poor dialogue like Friday the 13th. It doesn’t go for cheap jump scares, it doesn’t have dated special effects, and the protagonist isn’t the killer. Unless you hate the genre, there isn’t much that can be picked apart here. Halloween is a masterpiece, setting the standard for a genre that has never really produced a film that lives up to it. There is real art behind the scares. Myers is a terrifying silent force of destruction, Laurie is the standard for all final girls, and the music and cinematography are top notch. It’s a must watch for horror fans and arguably the best film John Carpenter ever created. I log reviews for every film I see, when I see them. You can see my main page here. Recent reviews include Battle of the Sexes, Professor Marston and the Wonder Women and Slumdog Millionaire.